Right In The Very Own Comfort of Your Own Home! 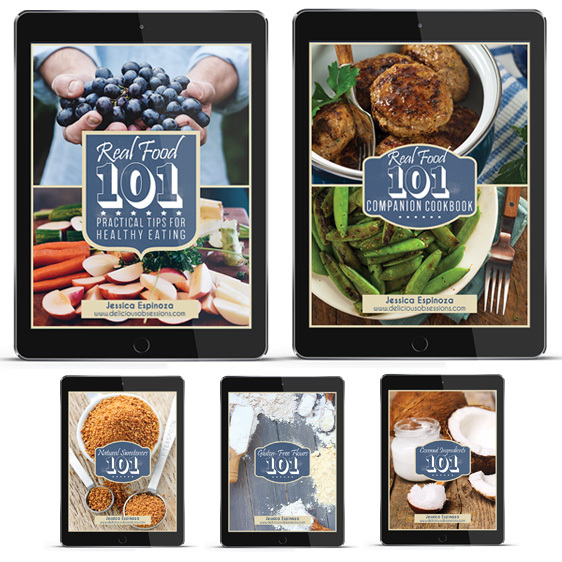 My name is Jessica and I’m not only a Wellness Educator, but I’m also the creator of the Delicious Obsessions Website and Community. Back in 2014 I had started selling a highly unique line of herbal coffee substitutes on Etsy. I’ll pull back the curtain on the proprietary formulas for my most popular herbal coffee blends (Clean Living and Happy Liver anyone? ), including THREE never before released blends! 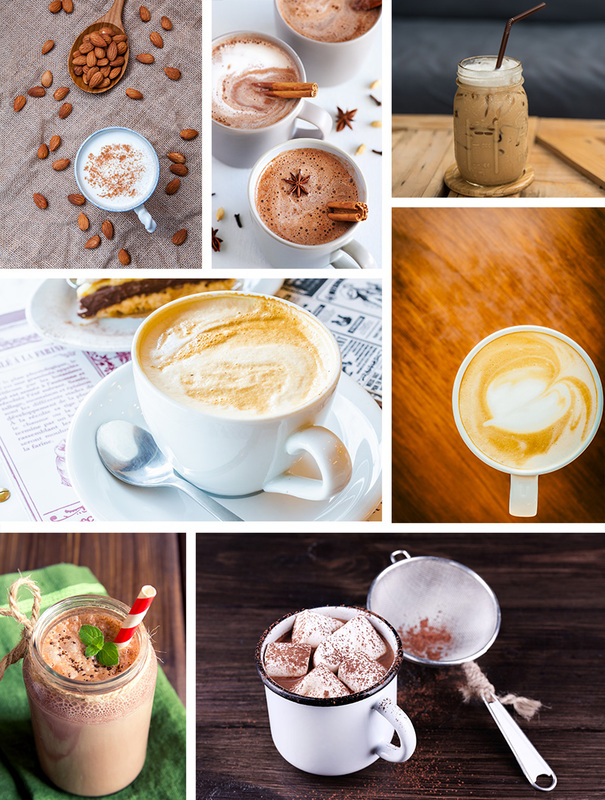 You’ll also get amazing coffee shop style recipes that include: Vanilla Almond Latte, Frozen Peppermint Mocha, Salted Caramel Macchiato, S’mores Latte, Buttered Maple Cream…and MANY more! I’ll include all my exclusive tips for perfect blending as well! If you were lucky enough to find a great coffee shop that sells these blends fresh, you could easily pay $5+ per CUP. That’s IF you could find them. Which most likely you will not since these recipes are MY PERSONAL CREATIONS that once sold like hotcakes on my online Etsy shop. 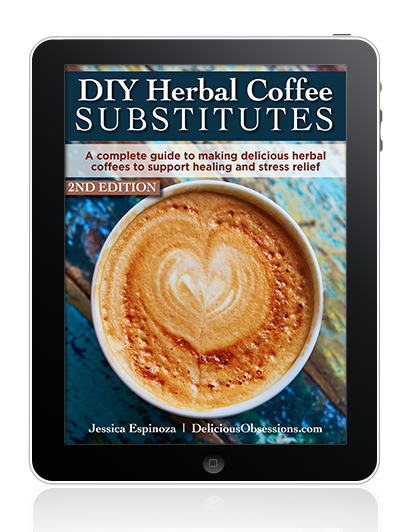 I know that once you dive into this amazing guide, you’re going to discover a WIDE variety of herbal coffee blends that will taste out-of-this-world great…AND will also good for you! P.S. 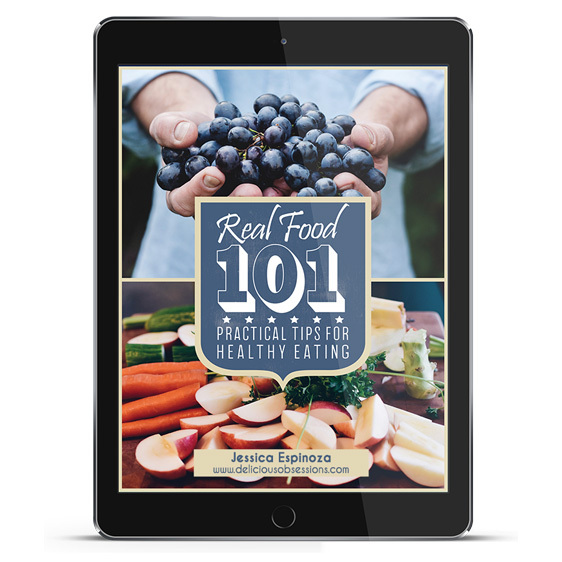 Remember, this guide contains the EXACT healthy recipes and blends that customers were going crazy for when I sold them on my Etsy store. Now you can make them on your own time, and save even more money! Get the guide here. I was so disappointed when Jessica announced that she was closing her coffee product line. I had become addicted to her Clean Living blend and was trying to figure out what to do when I ran out. I am thrilled that she released this DIY Guide. What a great resource for anyone who is wanting to give up coffee and caffeine, but know they still need something rich, dark, and bitter to soothe those cravings. Now they can make it at home, which is definitely going to save time and money. Two thumbs up for sure! As a gastric bypass patient, it is a must that I get my daily protein in. I used to get it in my coffee but with the stress of post-surgery life, my adrenals took a major hit, so I had to give up my beloved coffee. Enter Delicious Obsessions Herbal Coffee. It seriously filled the void left by my former coffee obsession. I can continue to enjoy my delicious “coffee” and get my protein in — all while allowing my adrenals to heal! I was bummed when she stopped selling it, but thankful that she was willing to provide the recipes for the blends to her loyal customers. Thank you, Jessica!!!! I was a huge coffee drinker, all day long. I have to say I was a bit susceptible as to how good this would taste. But I am amazed, delighted and happy to say it is wonderful! 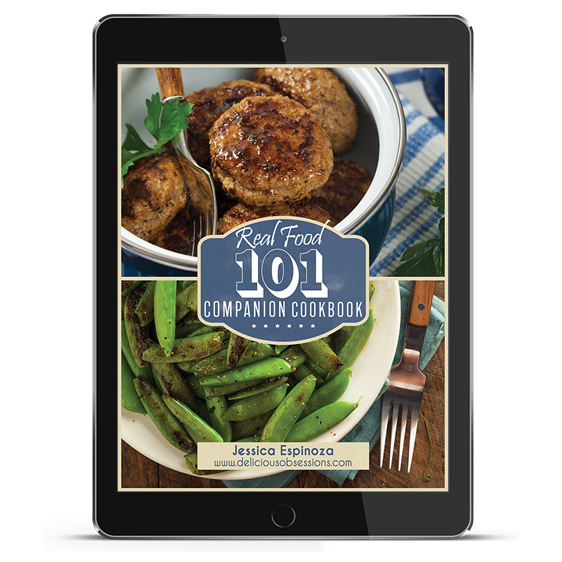 The recipes are easy to follow and so delicious! Such a great variety of different tastes as well. Order your copy now, you will not be disappointed! 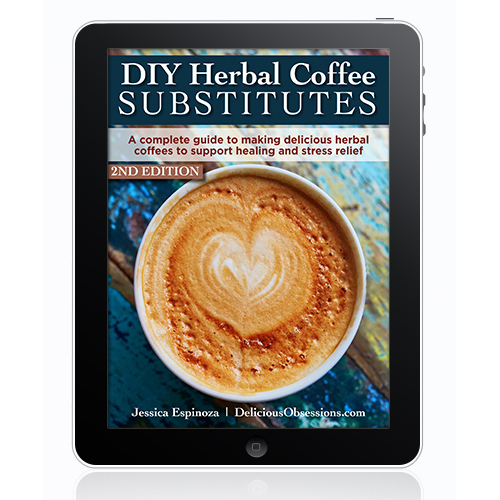 I love Jessica’s DIY Herbal Coffee ebook! I have been looking for alternative coffees for quite some time, and this is perfect!! I just ordered some herbs, and will be “creating” as soon as they arrive. Thank You Jessica for your inspiration and culinary creations that heal! I never had the chance to ty your coffee and heard many good reviews about it. Im 5 months pregnant and quit drinking coffee shortly after my pregnancy started. I recently started having 1 cup a day and I can feel how my body is not happy with it. Even tough I do need the extra quick of energy around 2 pm since Im working full time, I started experiencing breast soreness due to the caffeine. I tried decaf and the taste is not the same. 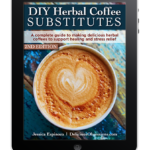 I decided to stop drinking coffee and would love to try your herbal coffee recipe to replace the lovely taste of coffee. Is it safe for pregnant women to drink it? 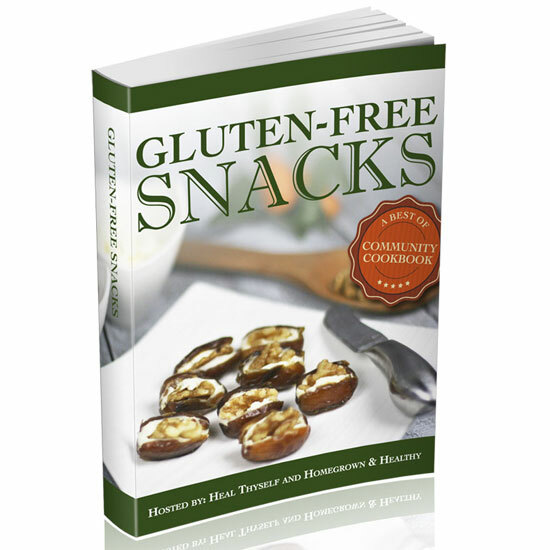 I don’t know the ingredients and Im willing to buy the ebook to make it asap.